Where to Buy a Tennis Racket: Buying a Racket the Easy Way! Where Can I Buy a Tennis Racket? Are you searching for a new tennis racket? If so, you may have realized by now that there are not only many racket options, but there are also many venders. How do you know where to buy a tennis racket? The answer to this question relies mainly on your personal preference. Online venders, such as Amazon, have a large selection of tennis rackets available at competitive prices. Local and national sporting goods stores also have tennis rackets for sale. You can either call your local store or look in the ads that are sent through the mail to get a sense of what the store’s tennis racket selection looks like. It is important to note, however, that there are some pros and cons to purchasing a tennis racket at different locations. Pros and Cons of Buying Online? Purchasing a tennis racket online is undoubtedly one of the fastest and easiest ways to make your tennis racket purchase. 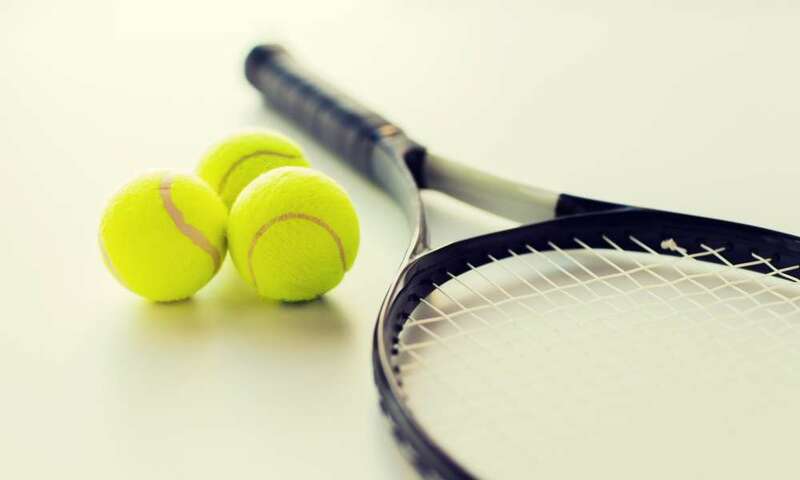 In addition, purchasing a tennis racket online will likely save you some money since you can compare the price of tennis rackets through a variety of different websites. However, this will come at a cost. When purchasing a tennis racket online, you are unable to get a feel for the racket first. 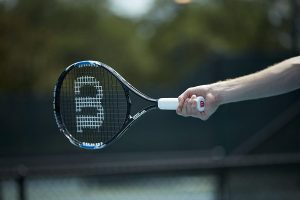 Given the importance of finding a tennis racket that has a good grip, length, and head size to meet your playing level, it is important to know if the tennis racket you are about to purchase feels good when you hold it. This is simply not possible when purchasing a tennis racket online. As an alternative, consider driving to your local sporting goods store. Here, you will be able to get expert advice from sales clerks who will ask about your experience playing tennis in order to match you to a good racket. You can ask the clerks many questions related to grips, the weight of the racket, what the material is made from, and the durability of the racket. In addition, you can take a few practice swings to see if the racket is one you feel comfortable handling. If you live in an area where there are no sporting stores, there are a few additional places you may want to check out when searching for a tennis racket. Many gyms offer stores where you can purchase athletic equipment, such as tennis rackets. They may even sell the string or offer a service that will allow you to have your racket strung if you purchase a tennis racket that is not pre-strung. In addition, many large mega-stores like Walmart and Target are able to offer a wide selection of tennis rackets. However, you may not be able to get answers to technical racket questions at these large stores, which is why visiting a sports store is ideal. How Can I Save Money on a Tennis Racket? When purchasing a new tennis racket, there are a few things you can do to save some money. The first one is to comparison shop. If you find a racket that you like at your local sports store, consider writing down the model and make of the racket and then looking at other stores and/or online to see if there are any better prices for that specific racket. Consider purchasing a previous model of a racket. As new racket models come out, the price of older ones tend to decrease. You may also want to purchase a used racket through a used sports store. Use a coupon or coupon code for the store or website where you intend to purchase the racket. Once you purchase your new racket, you will want to make sure to store it properly so that it does not need to be replaced for awhile. This means keeping it in a case, out of inclement weather. Tennis rackets can be purchased online, in stores, or through gyms. There are pros and cons to buying tennis rackets at different locations. In order to save money on a tennis racket, consider comparison shopping, using a coupon, and buying an older tennis racket model.